According to Chris Mannix of Yahoo Sports, the Denver Nuggets will “aggressively” pursue a meeting LeBron James and have already been in contact with his agent, Rich Paul. With Jokic and Barton on board, the Denver Nuggets will turn their attention to one more free agent: LeBron James. The Nuggets have been in contact with James's agent and will aggressively pursue a meeting. 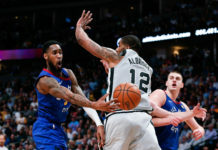 It’s certainly a long shot, but the Nuggets have shown aggressiveness the last few offseason’s going after players like Dwyane Wade, Chris Paul, and even Paul Millsap. 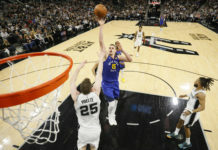 Signing James would put the Nuggets in a tricky situation financially after already agreeing to sign Nikola Jokic and Will Barton to new long-term contracts. The only way that the Nuggets would be able to get LeBron to Denver would by using the sign-and-trade method. Unfortunately, to sign-and-trade for LeBron, the Nuggets would need to find some way to shed $54.4 million in salaries. 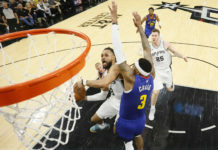 To put it into perspective for how difficult that could be, even if Denver managed to clear all four of Wilson Chandler, Kenneth Faried, Darrell Arthur, and Mason Plumlee, that would only clear $46.9 million; $7.5 million short of their goal. So, if Denver was to find a way to acquire James, they would have to trade one of or both of Paul Millsap and Gary Harris. 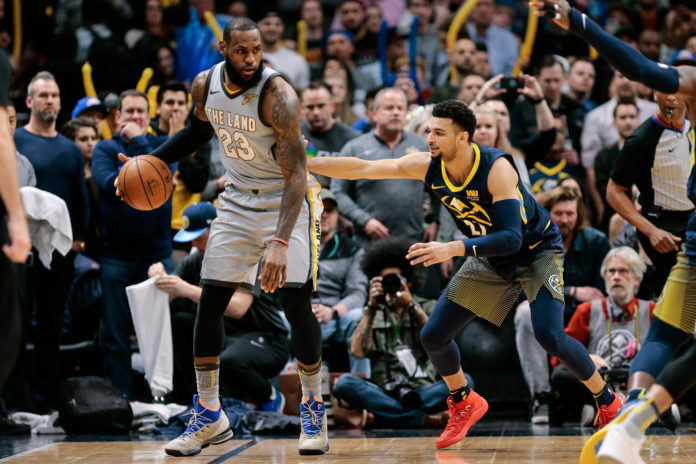 The money would certainly be tight, but the Nuggets are all in on next season, and signing James would make Denver an immediate championship contender. There’s no doubt its a long shot, but the fact the Nuggets are attempting to sign the great LeBron James means one thing; they are all in.